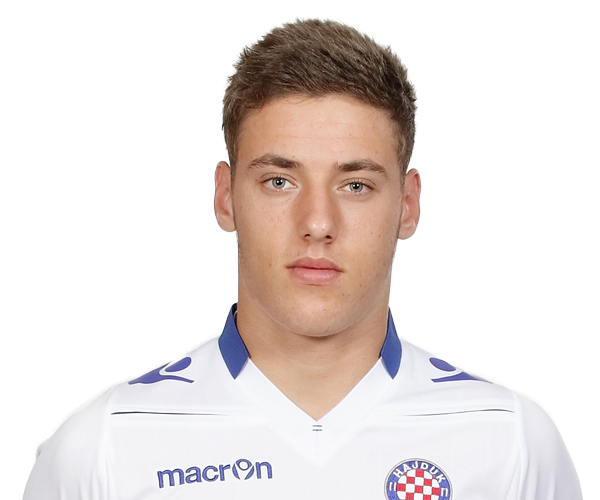 He's the younger brother of the famous Croatian athlete Blanka Vlašić. He made his debut in the Europa League Qualification game against Dundalk where he played 90 minutes and scored one goal. After that game he became a vital part of the Hajduk team and i have to say he's one the their best players with just 16 years! Tottenham tried to sign him but the bid got rejected. Chelsea, Real Madrid and Roma are also tracking him. Goal at 2:00 against England u18. Lovely first touch. I've tried to add him, but they gave me some redundancy error, maybe he was already to be added, but it didn't apear in the list. I know his sister. She is jumping! Arsenal and Inter are the clubs that are very interested in signing this lad! He's been described as the next Luka Modric.